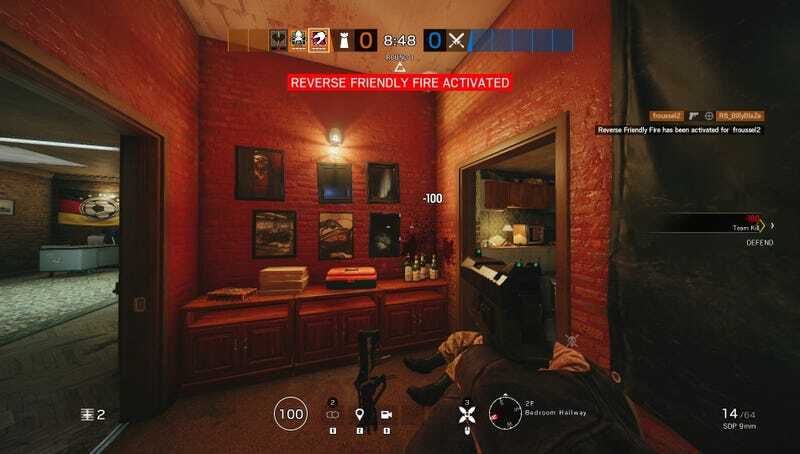 Rainbow Six’s new “reverse friendly fire” feature is intended to address toxicity by making poor sports hurt themselves. When a player damages an ally or the hostage, they’ll get a warning message. If they go on to shoot or otherwise harm a teammate to death, the karma-loving trickster gods in Siege’s machine will activate reverse friendly fire mode. This means that all future damage by that teammate to allies or the in-game hostage they’re trying to rescue boomerangs back around and hits them.